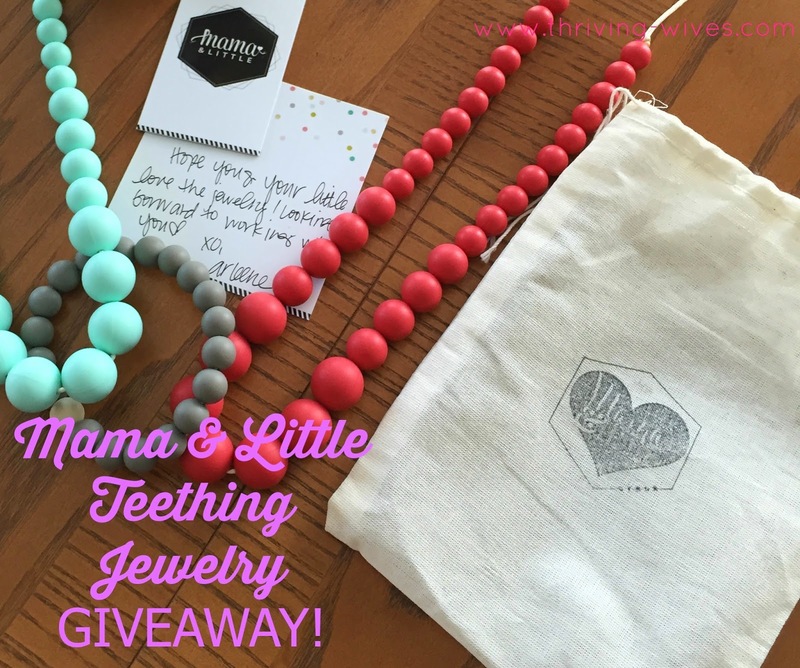 Mama & Little Teething Jewelry Giveaway! 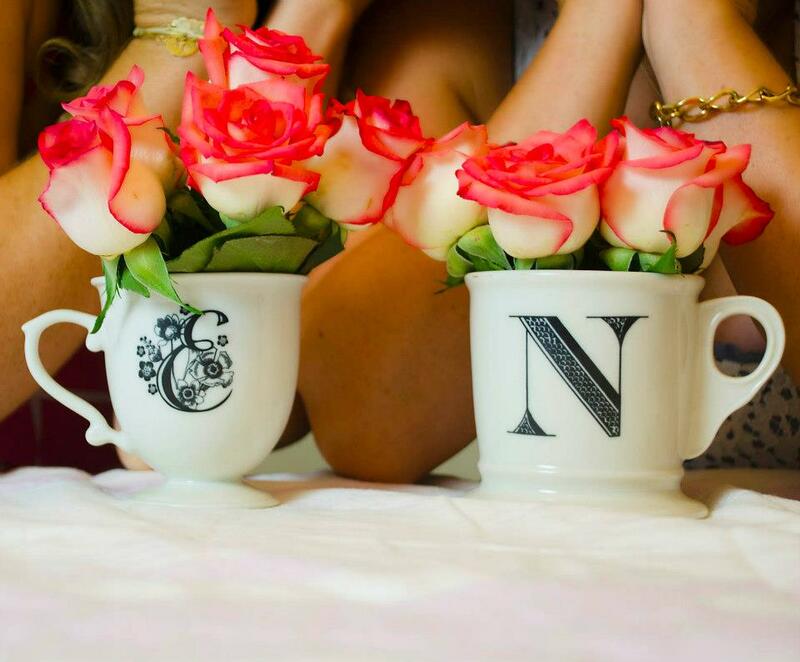 We love nothing more than Thriving Wives/Mommy's who are livin' the dream. 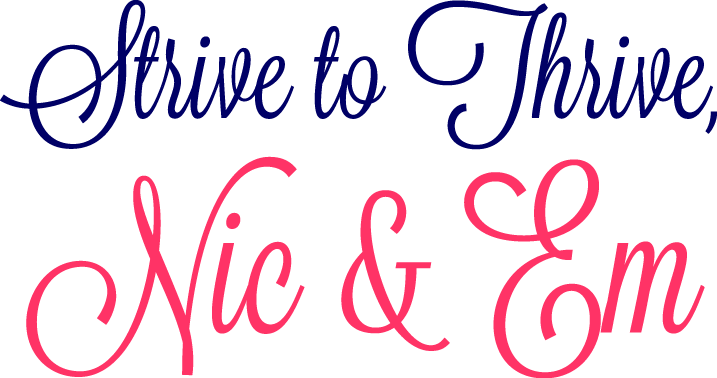 Those strong women who have made the choice to follow their passions and do what they love. Whether create, design or being a bad boss mamma, we support them all. 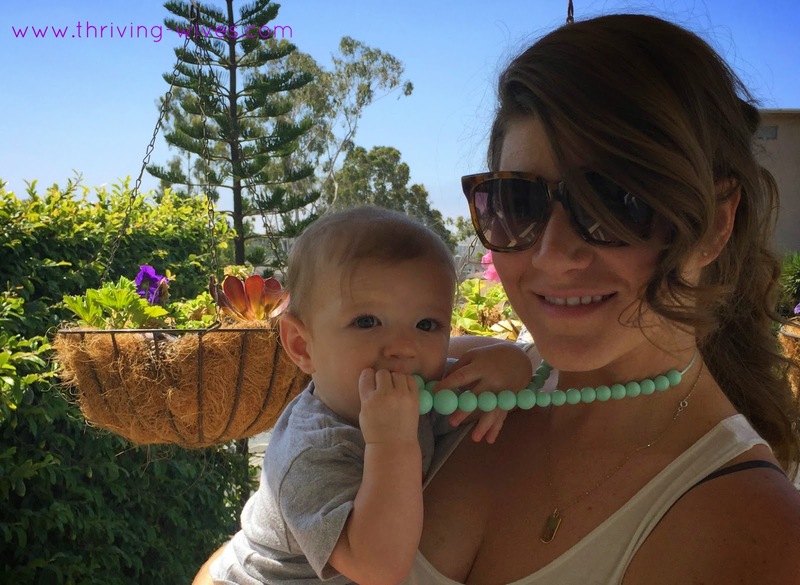 Needless to say when we had the opportunity to support a So Cal local mommy and her stylish teething jewelry, we were thrilled! Nic was kind enough to reach out to the talented Arleene and see if she was willing to collaborate and HOORAY for us, she was! 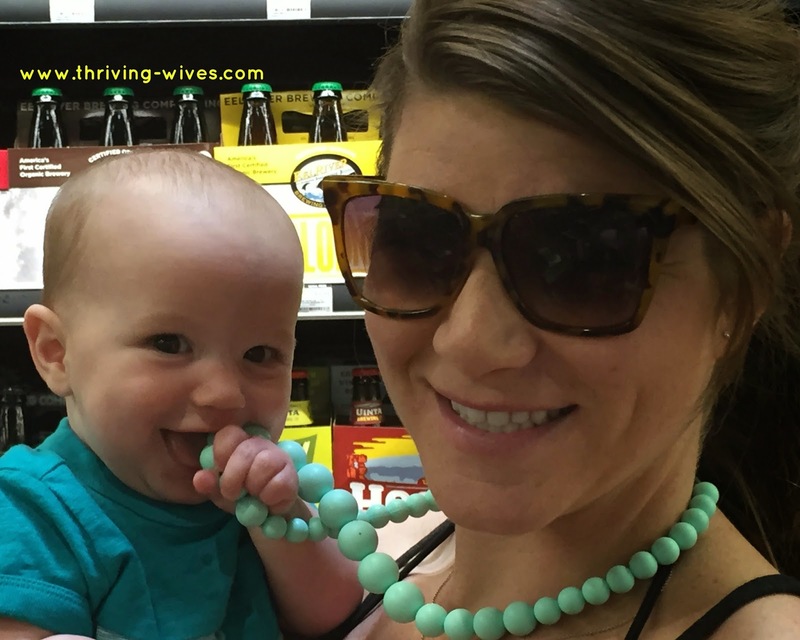 With Em's two little men sprouting teeth left and right, she was desperate to try a teething product. Thankfully, Mama & Little is just what she was dreaming of! 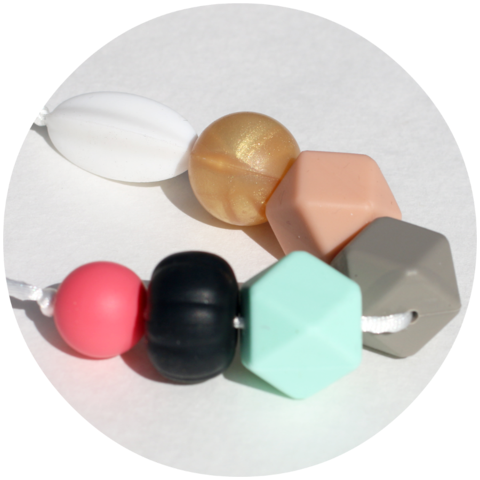 We're a fresh approach to silicone teething jewelry, offering on-trend styles and colors with pricing fitting of all mamas while being completely safe for their littles to teethe on. 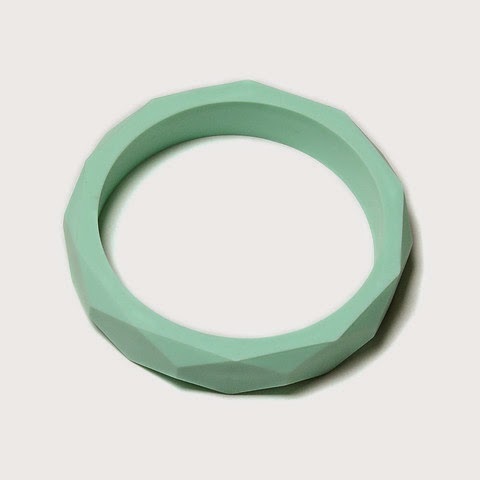 I strive to create unique, innovative and stylish accessories that set us apart in quality and practicality of design. 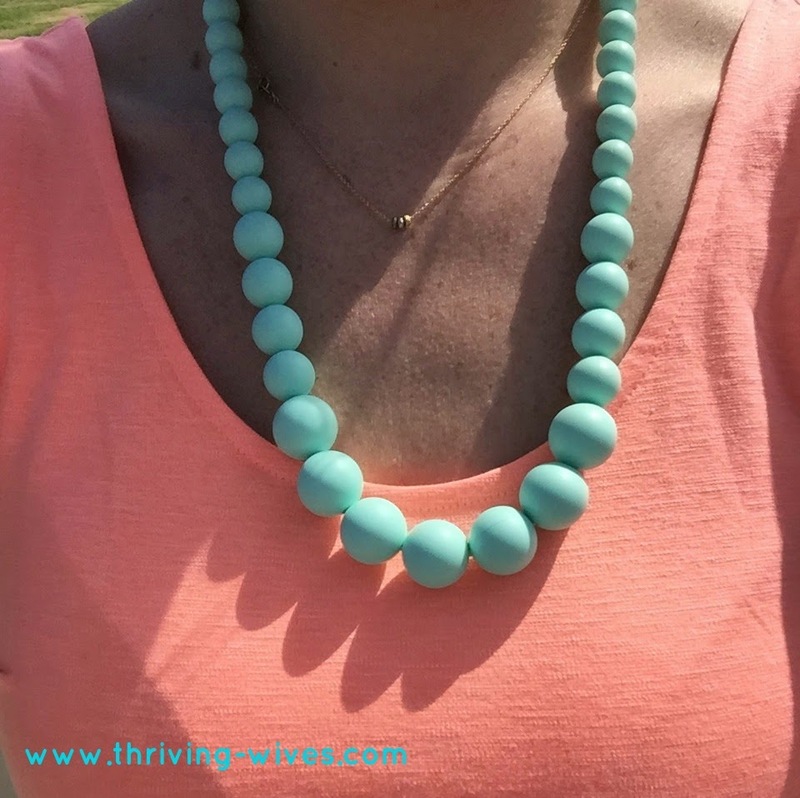 You'll notice our necklaces are designed with an exposed cord along the neck, no beads there means they won't catch your hair while being worn, hooray! We hope you enjoy our jewelry, our goal is to make the teething stage a bit more bearable for your little while looking great on you. J.R. and I were having a grand ole' time shopping in Whole Foods...clearly picking up a treat for Daddy! When my little package arrived I was beyond excited. I had chosen a few products to try among Arleene's gorgeous collections and could barely contain my excitement as I opened the perfect little tote bags with all my new treasures. 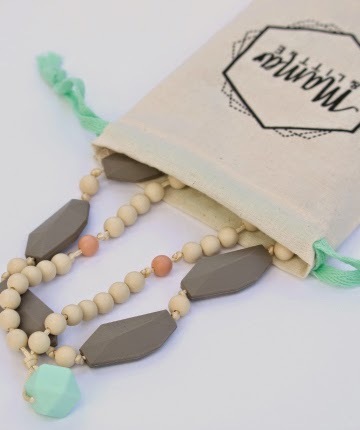 Mint, coral and grey...oh my! Being a lover of statement pieces I was really looking forward to still looking stylish but also allowing my boys to chew their hearts out. 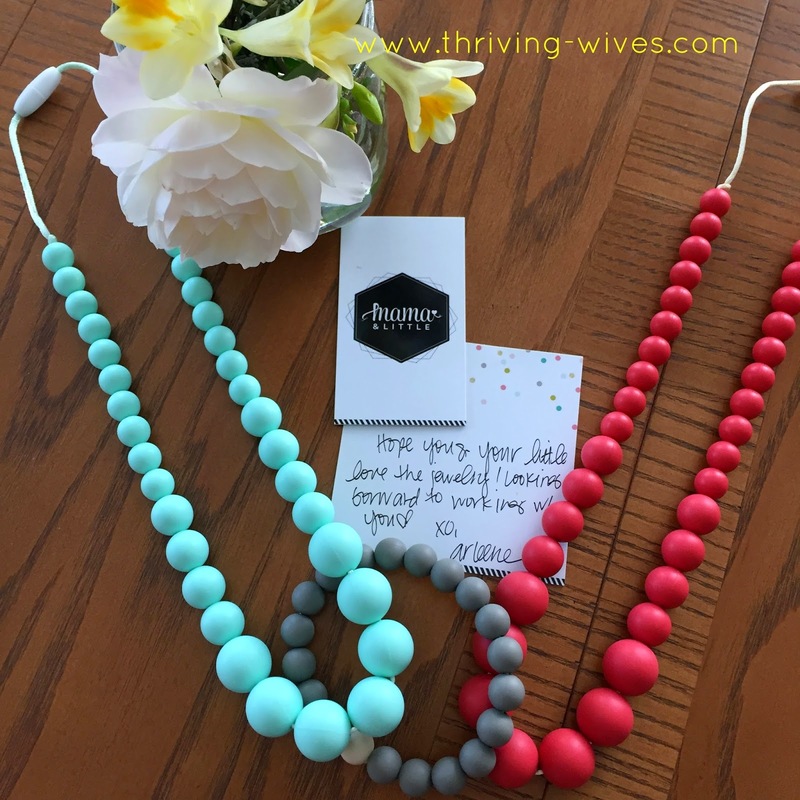 Since I am almost "wearing" a baby, these teething necklaces are a perfect way to keep them busy while I get things done! I was amazed at home occupied it kept my Littles when we were out and about, especially when nursing. No more jolting downward to save a dainty gold chain from my boys strong yank, or wiping slobber from my chunky necklaces, finally I could have it all. 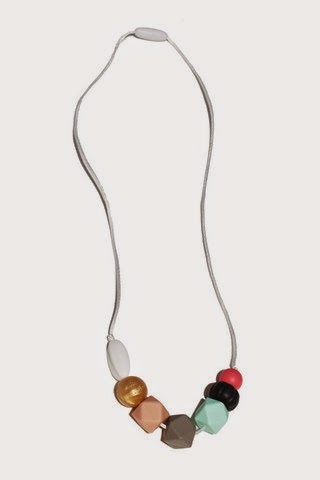 These gorgeous necklaces are "100% non-toxic made with food-grade silicone beads on a smooth nylon cord that feature a breakaway safety clasp". Good luck! Don't forget to tag you in your gorgeous new jewelry with #mamaandlittle! i love this idea! and it actually is very fashionable as well as obviously useful! and prevents teething toys from falling on the floor! Right?! Best idea ever and SO cute!